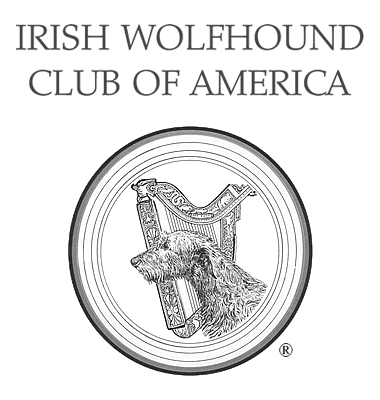 Dog Steps by Rachel Page Elliot - Irish Wolfhound Club of America, Inc.
Rachel Page Elliott was a giant in her time and her work on structure and movement enlightened us all. We are pleased to have received permission to post this 5 minute clip from the Dog Steps video. After viewing it, please visit www.dogwise.com should you want to order the full video and her books. Rachel Page Elliott, writer, researcher and world authority on dogs, passed away at the age of 96. Considered one of the world’s most respected authorities on canine structure and movement, Elliott was well-known in the show dog community for being the author of the illustrated Dogsteps, a book on canine anatomy and movement published in 1973. A follow-up to Dogsteps, Dogsteps: A New Look, published in 2001, used cineradiography (moving x-rays) to provide more insight into bone and joint movement in moving dogs. As a young child, Rachel Page Elliott, known as Pagey, was encouraged to develop her interests and talents wherever they would lead her. And, they lead to a life-long fascination with animals, first to horses, then to dogs. Pagey bred and competed in a wide range of dog sports with her "Featherquest" Golden Retrievers. She was lead to the scientific study of canine structure and movement. Her innovative research changed, and is still changing, widely-held beliefs about how dogs move. 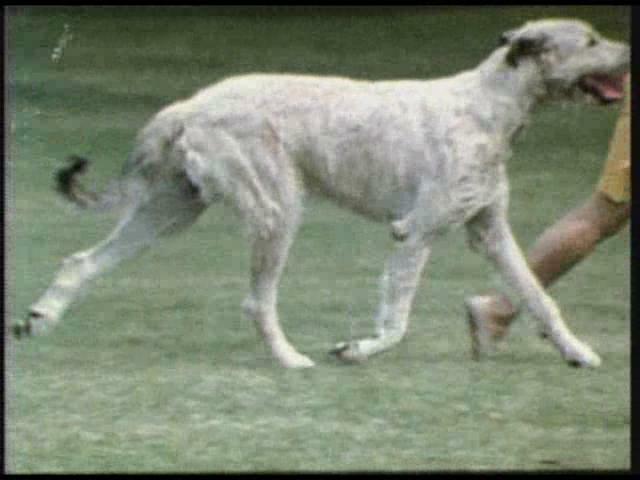 Rachel Page Elliot’s work changed the way we view gait in domestic dogs, and that will probably be her lasting legacy. "Dogsteps—A New Look is designed to make easier the recognition of normal and faulty ways in which the dog moves. Gait tells much about a dog's structure that is not revealed when he is standing still, as it reflects his physical coordination, balance of body and soundness. The correlation between gait and structure is frequently misunderstood and—in a time when growing interest in dogs as family pets tends to lessen awareness of the need for stamina and working ability—its significance is often overlooked. Sound movement contributes to the health and normal lifespan of all dogs. It is as desirable a feature in the family pet as it is important to the usefulness of dogs for hunting, farm work, police duty or racing; and without it show winners can never achieve true excellence. Also, sound dogs are happier dogs. This emphasis is not to detract from the value of type and temperament, which are necessary for the preservation of any breed, but rather to underline the truth of the old saying, "As a dog moves, so is he built." Dogs do not all move alike. Differences in size and shape influence their way of going. The flashy step of a small terrier, for example, or the brisk trot of a Welsh Corgi, is not the same as the easy, loose stride of Bloodhounds or Newfoundlands. And the spirited drive of proud-headed Setters lends contrast to the patient scent- trailing action of Basset Hounds. Through the centuries man has developed various kinds of dogs to meet his needs and his fancies, and their individuality today is the result of long years of selective breeding. Varied as dogs are, however, the principle by which they cover the ground is the same for all and is dictated by nature. This is the law of balance and gravity, which is constantly directed toward efficient forward motion with a minimum waste of effort—the key to good movement. When man upsets this law through inattention to sound structure, nature has to compensate for his mistakes with counterbalances which show up in faulty gaiting patterns. Incorrect movement, either temporary or permanent, can also occur as a result of lameness due to sprains, breaks, cuts, bruises or other reasons, but these should be recognized for what they are and not confused with inherited defects. Faults vary in severity and frequency from dog to dog and from breed to breed, but they are universal to the canine world - constantly challenging out search for perfection. While one does not have to be a student of anatomy to appreciate dogs, the ability to recognize good and poor movement is basic for a working knowledge. To be sure, movement is quicker than the eye, but the educated eye knows better what to look for, and the eye that understands is not easily deceived. In the course of my study on this subject, I have taken slow-motion movies, from which I have drawn animated sequences showing various phases of leg action at different angles to the viewer. Included also, are a few skeletal suggestions to help the reader visualize bone and joint movement beneath coat and muscles. Some of the illustrations may appear to be exaggerated—actually they are not; most are tracings from my movie films. There is no intention to associate any of the technical sketches with a particular breed— for all are vulnerable. Except for some of the pencil drawings showing dogs at work, most of the studies portray dogs moving at the trot, as this gait is considered best for evaluating movement as it relates to build. However, some examples of other gaits have also been included for identification and comparison. For newcomers, interest in Dogsteps - A New Look may be simply in owning a good dog. Nevertheless, we hope there is something of value here for all dog fanciers, and particularly the many breeders who are striving to raise better puppies" (Elliott, 2001, p. xiv). "At risk of being considered a "fault finder," the author may appear to have dwelt rather heavily on what makes a dog move incorrectly—and not have stressed enough the features that make him move well. Unfortunately, faults tend to linger in one's impression, and too often override the total perspective. Such an imbalance was not our intent, but if our emphasis has stirred awareness of a few structural pitfalls that threaten the quality of many present day breeds, then it will have served a useful purpose. Although you might find it difficult to put into words what you are looking for in good movement, you may have sensed it without knowing why. It may be just the feeling of pleasure over the flashy gait of a stylish entry in the show ring, or the thrill of excitement that comes with watching a hunting dog work smoothly across a field and suddenly freeze on point. You may instinctively have sensed the importance of stamina if you have hunted over a retriever that swims strongly and eagerly at the close of a strenuous day in the marshes. Or, if you are one who has handled a willing dog through obedience or agility competition, where advanced training demands constant effort in jumping, you have experienced the need for soundness. Too often puppies are selected solely on the basis of their expression, personality, color, coat texture or size-traits, which, to be sure, give each its special appeal and add to the joy of the owner. But these traits alone are not enough. Structure must also be considered if a breed or strain is to be kept strong. So it is to the breeders who know what to look for and what to avoid, who know what makes a good dog move well and why, that novices should turn for guidance and learning. Experience is a good teacher, but knowledge—with a little luck!—steers the shortest way to lasting success" (Elliott. 2001, p. 124).